In general visitors to South Africa do not see Johannesburg as a tourist destination. They are clearly not aware of Johannesburg South Africa's attractions and therefore in many cases this great city does not really feature on their lists of places to see. But almost all of them pass through Johannesburg as the main airport for international airline arrivals and also the main transit point for connecting flights to destinations in Southern Africa. So why not use the opportunity for a short stay of one or two days to explore the city, there is so much to see and experience. You can visit the origin of mankind, the Gold Reef goldmine, the nearby nature reserves, some wonderful museums and the first house of Nelson Mandela which is now a museum to name but a few of the many attractions that Johannesburg has to offer. And not only that, the wonderful thing about the city is its central position between many great places to visit and see that lie within a 2 hour drive. Only a 45 minutes drive from Johannesburg city centre, lies the Sterkfontein valley, home to the world renown Sterkfontein caves. It is a UNESCO world heritage site called "The Cradle of Humankind" famous for the discovery of almost 1,000 hominid fossils, the oldest being more than 3 million years old. The area is one of the most important and productive palaeo-anthropological sites in the world. For the visitor there are the educational Maropeng visitor centre and museum and the Sterkfontein Caves themselves to explore. 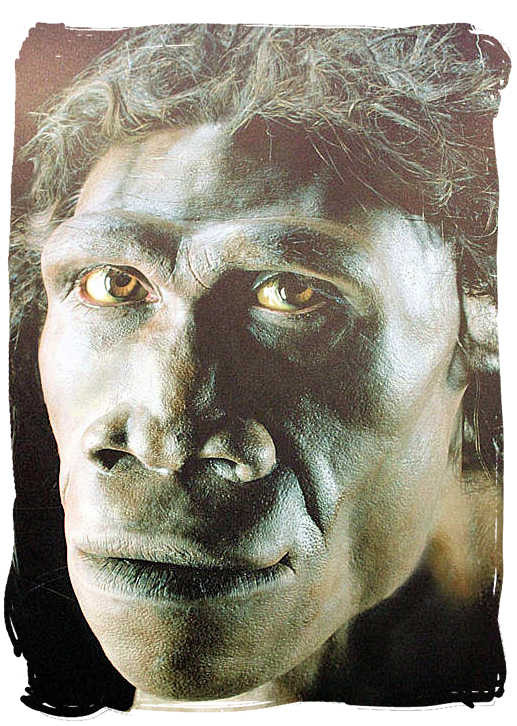 The word "Maropeng" means "Returning to the place of origin" in the language of the Tswana people. A visit to the Maropeng centre is an extraordinary interactive and educational experience, including an underground boat ride, taking you on a trip back through time. 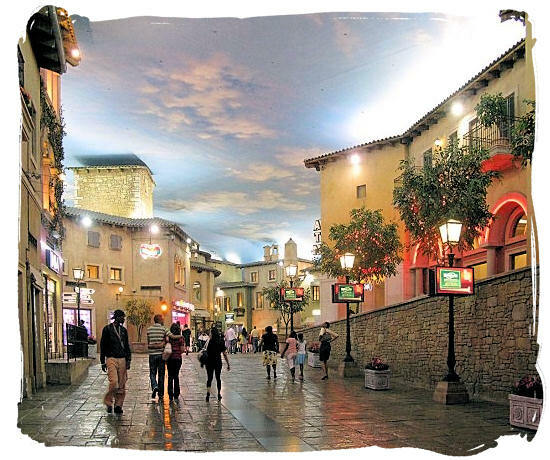 Artfully designed to look like an old historic Tuscan village in Italy and with a striking ambiance, Montecasino is one of the top leisure and entertainment hubs in Johannesburg and Gauteng. Situated in Fourways north of Johannesburg, it comprises a Casino, a Five star Hotel, the Pieter Toerien theatre, the Boogaloos New generation Skate Park, an Outdoor bird garden, and many restaurants, movie theatres, fun arcades and shops. It was voted as one of the best places to take your visitors to, best cinema complex, best entertainment complex and best casino in Gauteng. Located right next to the casino, you will find the stunning InterContinental Palazzo Hotel, offering a new concept in luxury lifestyle hotels. Next to its 246 luxury suites, meeting and convention spaces, it also has some great crèche facilities for children such as activity programs, daycare and playground. 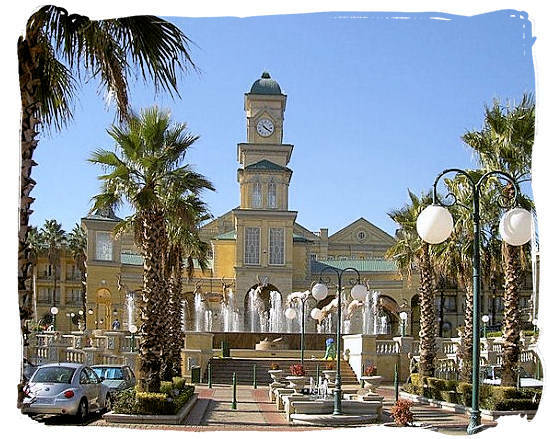 Located on the site of the old gold mine, the world renown Gold Reef City is a big entertainment park designed around the theme of the Witwatersrand gold rush, with buildings and decors mimicking the 1880s. A depiction as authentic as possible of mining life during the heydays of the gold mining industry in the 19th century, Gold Reef City offers many fabulous attractions. Next to visiting its Amusement park, Casino, Amphitheatre, 3D Cinemas, Shops and restaurants you may also enjoy an underground tour of the old gold mine, watch how a gold bar is being poured or a visit to the Apartheid museum. Gold Reef is only a 10 minute drive away from Johannesburg's business area and only 20 minutes from OR Tambo International Airport as well as Sandton City. 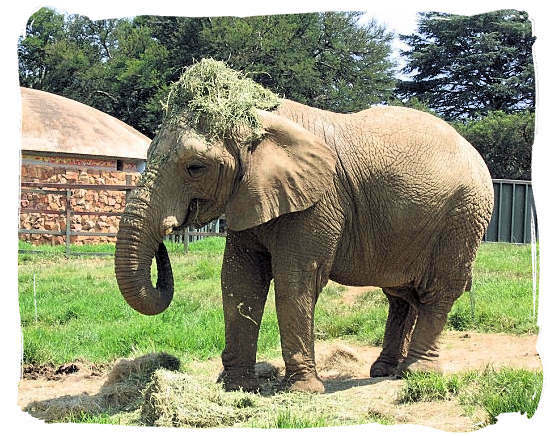 Almost as old as the city itself (1880), the Johannesburg Zoo was founded in 1904, on a piece of land given away by Hermann Eckstein for recreational purposes. The Zoo can be found on Jan Smuts avenue in Parkview, Johannesburg. A popular attraction for tourists and residents alike, it offers a large variety of things to do and see. It houses a total of 2000 animals, comprising 320 different species. Internationally regarded and accredited, it is the only Zoo in the world that has had success with the breeding of Siberian Tigers and one of only a few places successfully breeding White Lions. In its educational role it offers wonderful opportunities for children to gain knowledge about nature and environment, such as school holiday programmes for instance. The Zoo also offers tours or safaris during the day as well as at night, as well as feeding visits and "feel, hear and touch" programmes. 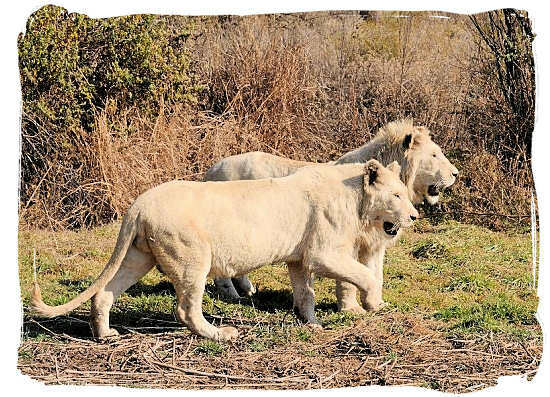 Established in 1966, The Lion Park is a 2 km2 (500 acres) private wildlife conservation reserve is to be found in the heart of Gauteng province close to Fourways and Lanseria and easy to reach from Johannesburg and Pretoria. Home to over 80 lions and many other predators, as well as a considerable variety of herbivores, it is a "real must see" attraction. The carnivores include Black Leopards, Cheetahs, Hyenas, Wild Dogs and Jackals. The Herbivore population consists of Giraffes, Zebras and a diverse collection of antelope. Lion Park has become famous for its successful breading programme of white lions. You can view the lions from the comfort of your own vehicle, play with the animals, walk with a Cheetah, touch and stroke a Lion cub among other amazing things to see and do. The Park also offers luxury tented accommodation, a shop and restaurant, and a play-garden for the kids. 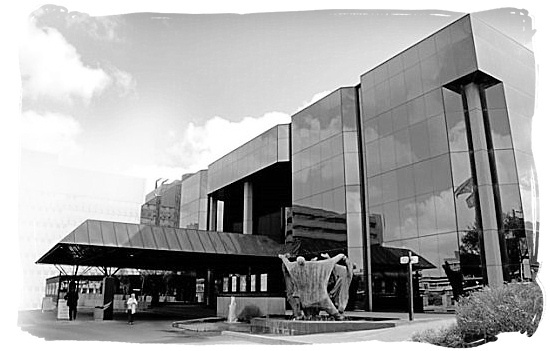 Owned by Johannesburg's city council and built in 1962, the Johannesburg Civic Theatre has been renamed the Johannesburg Theatre Complex after a large face-lift in the late 1980's, making it technically one of the most modern and advanced theatres in the Southern Hemisphere. Its facilities consist of three theatres, an innovative theatre venue, 8 hospitality venues for private, corporate or business functions and the Cosy Café restaurant. As one of Africa's top theatres for live performances and entertainment, its mission is to present the very best of world class theatre, international as well as home-grown productions. Really, if you do not go and attend a performance at the Johannesburg Civic Theater or "Our Civic" as it is often fondly called by the locals, you will have missed out on an undoubtedly extraordinary experience. Situated in the Johannesburg Central business District, the 223 meters high Carlton Center is the tallest building in South Africa. Once home to the exclusive 50-storey 5-star Carlton hotel, it has now been changed into an office building and shopping centre, with a mix of major retail outlets as found in most large shopping malls. It also has a huge underground parking area. Its actual attraction is the observation on the top floor, offering you uninterrupted panoramic views of Johannesburg toy wouldn't want to miss out on. With its first exposition opened to the public in 1910 on the premises of the Witwatersrand University before its own Gallery was built in 1915, the Johannesburg Art Gallery is said to be the first and nowadays also the largest art gallery on the continent of Africa. It is situated on the corner of King George and Klein streets on the perimeter of Joubert Park and in the heart of the central business district of Johannesburg. The gallery houses a wide ranging accumulation of art spread out over 15 exposition halls, varying from contemporary African to 15th century European art. 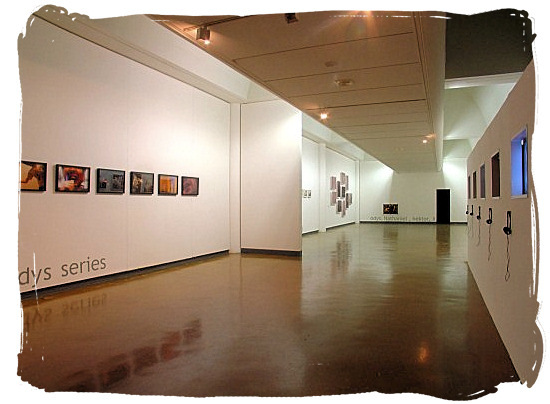 The range of collections vary from paintings and etches to sculptures, multi-media displays and photography. These include some spectacular work from famous artists like Picasso, Monet, Henry Moore and 17th century Dutch painters to South African artists like Pierneef, Alexis Preller, Maud Sumner, Gerard Sekoto, Sydney Kumalo among many others. A dusty street, mall houses neat and clean, the hustle and bustle of pedestrians. It could be any street in Soweto, nothing extraordinary. Yet it is one of the most well-known streets in South Africa. 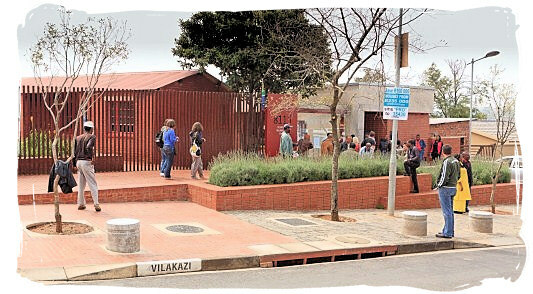 Known as Vilikazi street, it is the location of the former house of Nelson Mandela. Close by, you can also find the house of Desmond Tutu which he still owns near the spot where Hector Pieterson was shot dead during the students protests in June 1976. Then there is the famous Orlando West High School, one of the breeding grounds of the student uprisings. The house of Nelson Mandela has been turned into a museum filled with his personal artifacts and is now called the Nelson Mandela National Museum. With Bed-and-Breakfasts, restaurants and backpacker accommodation to name but a few, opening their doors to tourists, Vilikazi street and other township destinations have become unique experiences you wouldn't want to miss. Museums are important institutions for the conservation of the cultural heritage of a community. They are fascinating showcases telling society who and what they are, who they were and where they may be going. With the discovery of gold, its miraculously rapid growth and the oppression of Apartheid, Johannesburg has an extraordinary rich and turbulent history. For those who want to learn more about the city, there are many excellent museums to entertain and educate them. They are dedicated to subjects such as anthropology, military and Boer history, gold mining, apartheid, culture, money, zoology, medicine and many more. A large number of the museums have facilities such as books and more information desks, gift shops for souvenirs and eateries. 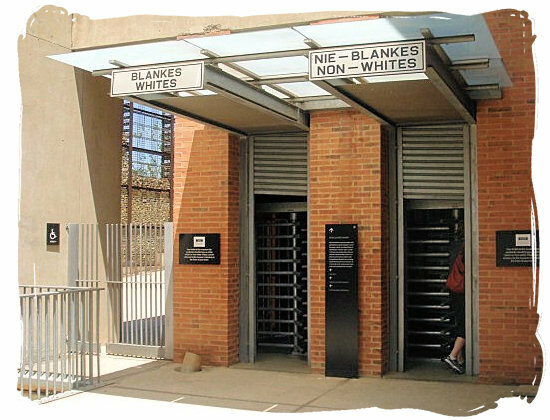 Some of the more popular museums are the Apartheid Museum, the Museum Africa, the Hector Pieterson Museum and the Cradle of Humankind. Experience the rise and fall of apartheid. When you are in the Apartheid Museum and have spent some time there, it feels as if you were there in the townships during the 70s and 80s, toy-toying and marching with thousands of protesting students and school children, seeing the body of a fellow demonstrator being carried into a nearby house, ducking teargas canisters and police bullets. Having learned the true story of the past of South Africa, you will come away from this museum with a much greater understanding and recognition of this country's blackest and its brightest days. 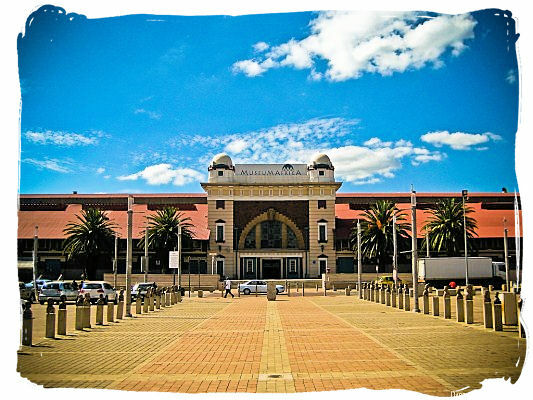 At present one of Johannesburg's main tourist attractions, this museum is a "must see" for visitors as well as residents. It is situated on the site of Gold Reef city, just opposite the Casino. By car It is only 15 from OR Tambo international airport and 20 minutes from Sandton. For those visiting South Africa via Johannesburg with some time on their hands, a true African safari experience is only a 40 minute drive away from Johannesburg city centre and about a 60 minute drive from OR Tambo National Airport. Small and intimate, the 1500 Ha Krugersdorp Game Reserve is situated on Johannesburg's West Rand, offering some great game viewing and your almost guaranteed to see 4 of the Big Five, namely Lion, Buffalo Rhino and Leopard. The reserve is perfect for a one day visit but if you want to stay overnight, it does offer a caravan park with camping facilities and lodge accommodation. There are also picnic areas and swimming pools. For the birders there are 200 bird species to look for. The wildlife population consists of about 30 different species, comprising a variety of antelope species, lion, leopard, rhino, giraffe, buffalo, hippo, zebra and many others. Constitution Hill was home to the notorious Old Ford prison complex for almost 100 years, place of detention of many South African political leaders, among them some of the world's great such as Nelson Mandela and Mohandas Ghandi. Located at the western end of Hillbrow, the hill overlooks the affluent northern suburbs of Houghton, Sandton and Parktown etc. towards the north and downtown Johannesburg to the south. 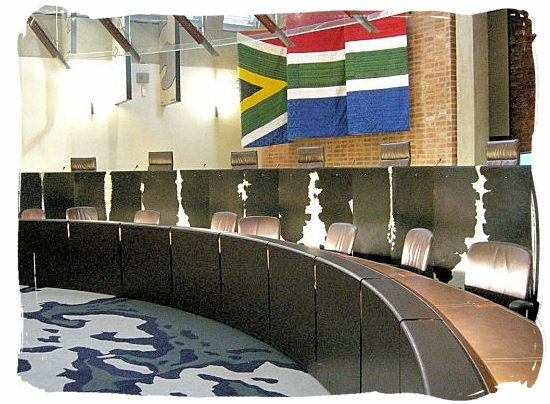 Having been a place of suppression during the apartheid years, Constitution Hill was deliberately chosen to become home to South Africa's highest court and guardian of human rights and freedom, the Constitutional Court of South Africa. It was unveiled on Human Rights Day, 21 March 2004. Today it is all open to visitors, who can visit the art gallery, be present at a hearing, stroll up the Great African Steps, go into Constitution Square, take part in exhibitions and tours or go up the Old Fort battlements to enjoy panoramic views of Johannesburg. Voted one of Johannesburg's Big Five tourist destinations, the privately owned Rhino and Lion Nature Reserve is situated 40 km north-west of Johannesburg and 60 km west of Pretoria, in the same area that is also home to the "Cradle of Humankind", a proclaimed UNESCO World Heritage Site. 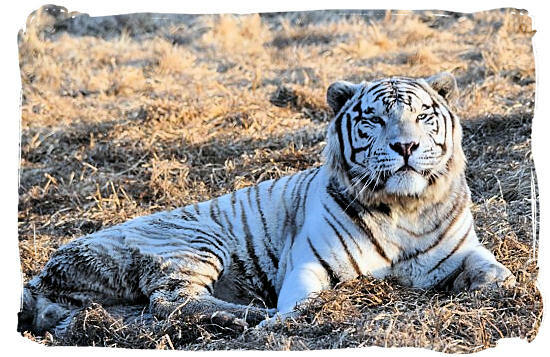 Having made a success of breeding the endangered White Rhino, the reserve has become world renowned for its successful breeding programs of the rare Bengalese Tiger, the Cape Wild Dog and the extremely rare African White Lion and Siberian Tiger. In total the reserve is home to a wildlife population of 600, representing 25 different species, including the Big Five. The accommodation offered is excellent, consisting of 3 fully equipped, self-catering chalets, 6 log cabins, including a swimming pool and lapa. Enjoy the game drives, cave tours, abseiling and touching the Big Cat cubs. 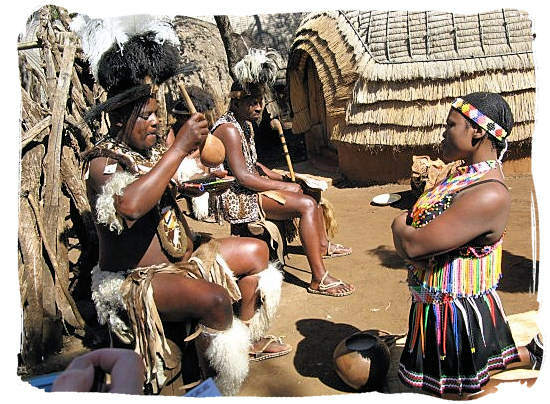 Established in 1993, Lesedi Cultural Village is a showcase in the form of multi-cultural village, depicting the traditional way of life of five of the more prominent tribes in South Africa, comprising the Zulu, Xhosa, Pedi, Basotho and Ndebele tribes. Nestling in a natural way amid rocky hills and pristine bushveld, the village consists of five sort of settlements, each one inhabited by members of one of the five tribes. This way Lesedi is offering visitors an exceptional opportunity to enjoy the colorful and vibrant customs and traditions of the different tribes and at the same time "taste, see and hear" Africa. You can either stay overnight or just visit for the day. When staying overnight, visitors have the opportunity to spend a night in one of the tribal settlements. Only a 45-minute drive from either Johannesburg and Pretoria, Lesedi is situated on the R512, about 10 km north of Lanseria Airport.